England visited the Tyne Cot Commonwealth War Graves Cemetery and Memorial to the Missing at Ypres. 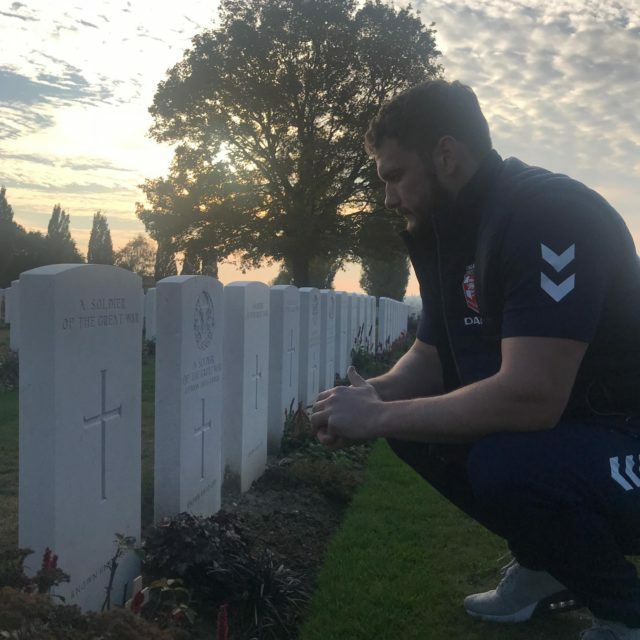 England’s rugby league players have visited the Western Front in Ypres as part of plans to commemorate the centenary of the end of the First World War. Members of the squad paid their respects at the Tyne Cot Commonwealth War Graves Cemetery and Memorial to the Missing. The team will also wear a special commemorative jersey for the third Test against New Zealand at Elland Road on Remembrance Sunday, November 11, as a show of support for the Royal British Legion’s ‘Thank You’ movement. 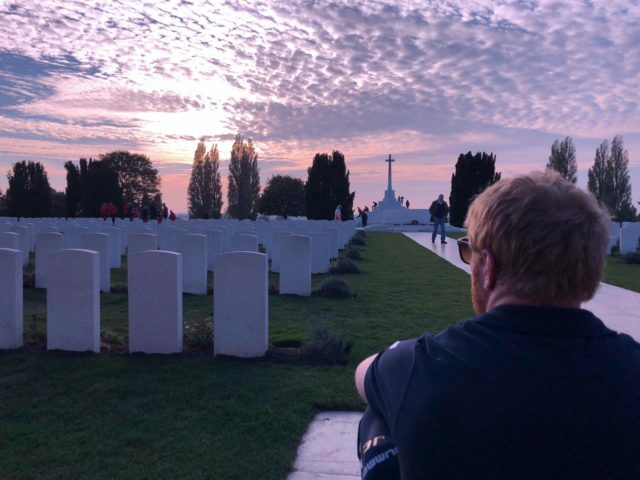 The England squad visited Ypres to honour our fallen soldiers today. England begin their three-Test series against New Zealand on Saturday following a dominant 44-6 warm-up win against France.